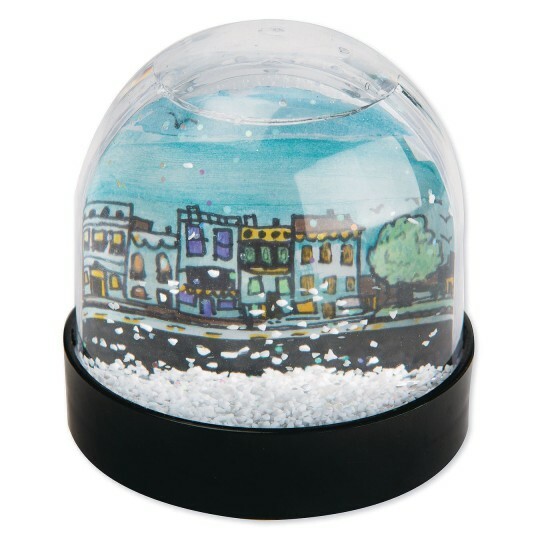 Create your own snow globe! 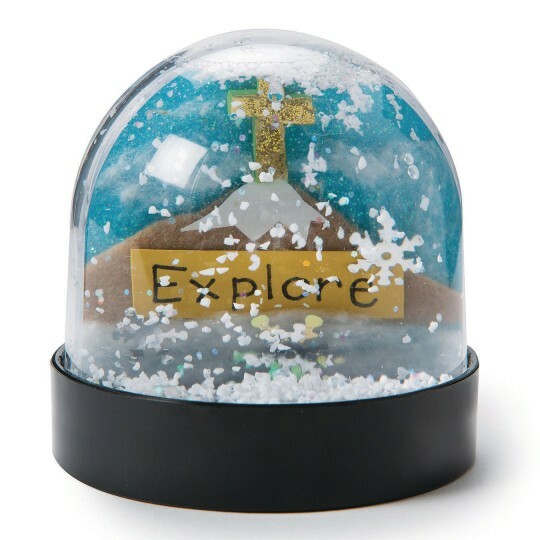 Create your own snow globe! Simply design your artwork on included paper insert, fill globe with water, insert paper into center slot, shake, then watch glitter and “snow” fall around your creation! Instructions and decorating ideas included. Decorating supplies sold separately. 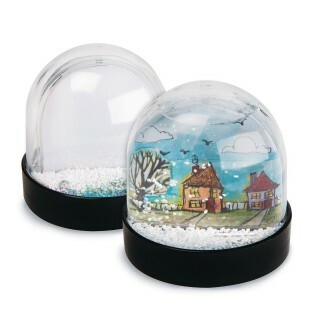 Snow globe measures approx. 3”W x 3-1/2”H. This was a HUGE hit at my daughter's school Winter Party! Her classmates and parents had a great time making these. I cut out sparkly backgrounds and the kids put a picture of themselves in the middle and then decorated with stickers bought stickers ribbon glitter paper separate--not included in kit. I HIGHLY recommend this and wanted to purchase more for future use but was sad to see they're sold out. Merchant response: We are working hard to get more in stock quickly! I did this project with Girl Scouts. They brought in family pictures for one side and drew a picture for the other side. Such a great Gift for parents. Nice size globe and pretty durable. I was impressed with how well the water stayed in the globe. The girls were very creative and enjoyed making this their own!